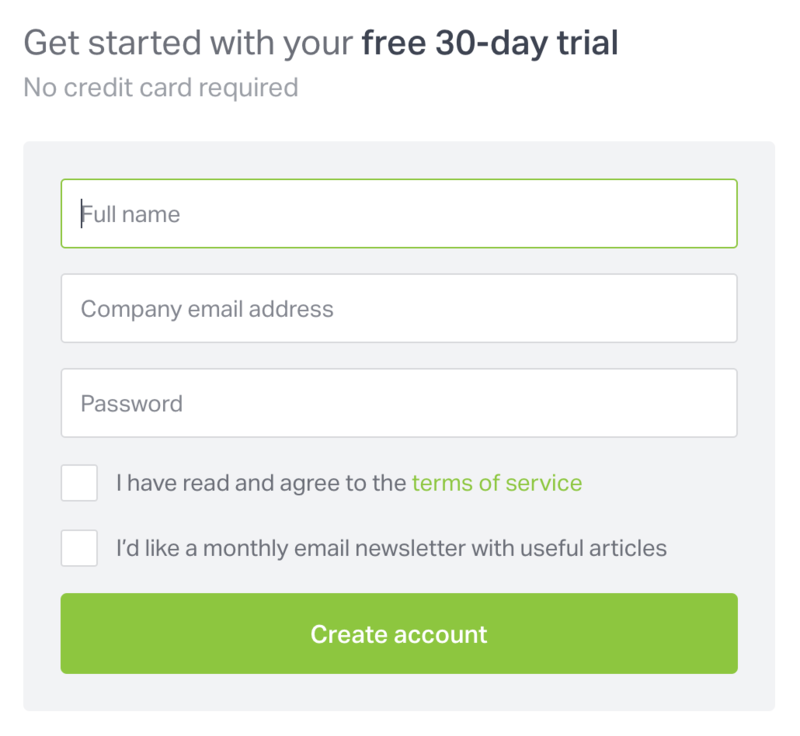 When you first sign up to Geckoboard you enter into a free 30-day trial. During the trial you'll have unrestricted access to all of Geckoboard's features. This allows you to add as many users and dashboards as you like. We don’t require you to add any billing information during your trial, however you can log in and upgrade to one of our flexible current plans at any time during your trial to keep using Geckoboard beyond your trial period. If you feel ready to buy a paid plan, you can do so using a debit card, credit card, or PayPal. If you choose not to upgrade during the trial period, your account's features will be automatically disabled (not deleted). Should you choose to upgrade at a later date, the disabled features are re-enabled again. Only an Account owner can upgrade your plan. Type in your full name, company email address, and password. We'll use the email address you supply to communicate with you, so it should be an email address that you have access to. That's it! You now have 30 days of Geckoboard for free! After you've created your account, use your free trial period as a way to get a good overview of Geckoboard's features. Get an overview of Geckoboard basics to get started. Read our best practices guide to data dashboards. Learn how to get your data onto Geckoboard. Build, learn, and adjust is a process we highly recommend as you start planning and building your own Geckoboard dashboards.